Kennedy joins AttackIQ from Bridgewater Associates, where he was head of security for infrastructure technology and controls engineering, and brings more than 20 years of cybersecurity risk and operations practitioner experience. Previously, Kennedy led the development of the U.S. Department of Treasury's and the U.S. Marine Corps’ cybersecurity operations programs, defense and federal contracting for Northrop Grumman, and is a former Marine Corps Officer and Operation Iraqi Freedom veteran. Previously a member of the Attivo Networks Advisory Board, Roberts is one of the world’s foremost experts on counter threat intelligence. He will use his more than 20 years’ security experience to further develop and define strategy and processes for the company’s government and industry customers on issues related to cybersecurity strategy, policy, risk threat assessments, and incident response. Roberts will work with customers globally to develop and implement risk reduction strategies across new and legacy technologies. He will manage an advanced consulting services program that will provide compliance/assurance reviews to assess whether cybersecurity policies and standards are being met and to provide cybersecurity strategy and operations guidance for C-level executives. He will also be a key driver of strategy and vision around the Attivo Networks deception portfolio in areas where he has deep expertise including adversary and vulnerability research and market education. Prior to joining Attivo Networks, Roberts most recently was chief of adversarial research and engineering for LARES, LLC. Previously, Roberts was chief security architect for Acalvio Technologies, where he drove deception technology innovation, directing a portfolio of services designed to improve the physical and digital security posture of clients. Barrows will oversee the Security Program, a risk management program designed to protect Reclamation’s facilities as well as employees, contractors, and the public at or near those facilities. The Bureau of Reclamation is the largest wholesale water supplier in the U.S.
"Ensuring Reclamation's facilities and the people around them are secure is our number one priority in supporting the delivery of water and generation of power," said Karen Knight, the Bureau of Reclamation’s security, safety and law enforcement director, in a press release. "John's extensive experience in all aspects of security and law enforcement will help ensure that security measures are implemented and unacceptable risks are mitigated." Barrows joined Reclamation's Security Program in 2015 as the fortification program team lead. Prior to Reclamation he served as the deputy division chief at Headquarters Air Force Space Command Security Forces from 2009 to 2015. Barrows was on active duty in the U.S. Air Force from 1980 to 2005 as a law enforcement specialist (security forces) and later in his career as a security forces chief master sergeant. Following his military career from 2005 to 2009, Barrows worked at Northrop Grumman in the Systems Division where he served Air Force Space Command as a Scientific Engineering and Technical Assistance contractor in the Space Systems Security Branch. Shenenberger was most recently the CIO and security officer of Summit Health Management of New Jersey. In his role at Privia, Mr. Shenenberger will oversee the IT infrastructure serving a network of more than 2,000 Privia providers. Shenenberger has more than ten years of experience working as a healthcare technology executive with large medical groups and hospital systems. He has spent his career serving in multiple technology executive roles including CIO, CTO and CISO. 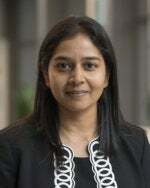 With more than 20 years of experience in information security, risk management and privacy, Lakshmi will be responsible for Box's cybersecurity practice, security operations and data and platform protection. She will help Box scale its security organization and work with Box customers to ensure their security needs. Lakshmi was most recently CSO at SAP Ariba. Previously, she was the senior leader for information security and risk at PayPal. Lakshmi advises several Silicon Valley startups and serves on the advisory boards of numerous cloud companies. She is also an active supporter and promoter of women in technology and developing talent within teams. 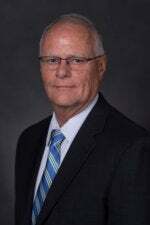 Working under Washington Technology Services (WaTech) Director Jim Weaver, Buchanan will oversee the state Office of CyberSecurity. He brings more than 20 years of global information security experience to the role with deep expertise managing cybersecurity, developing and leading high-performing teams, and managing risk and compliance in heavily regulated environments. Buchanan will be moving from his current role as chief information risk officer and IT director, Information Security and Privacy Office, for the Oregon Health Authority and Department of Human Services. Previously he worked as the director of special investigations and threat analysis for Pearson VUE and as a senior cybersecurity advisor with Battelle supporting the FBI’s Criminal Justice Information Services (CJIS) division. Working for the Vermont Agency of Digital Services (ADS), Andersen brings 12 years of cybersecurity experience to this position. Since 2017, he served as a vice president at Invictus International Consulting, LLC, and co-founder of Pueo Business Solutions, LLC. In those roles, he assisted with information assurance and cybersecurity in partnership with the Defense Intelligence Agency, Federal Aviation Administration, U.S. Department of Homeland Security, U.S. Army, Coast Guard, and Navy, and the U.S. Marine Corps Forces Cyber Command. In 2018, Andersen received the U.S. Government Information Security Leadership Award for his work in penetration testing, incident response, and risk and vulnerability assessment services across the federal government. Andersen earned a B.S. in Information Technology Management from American Public University System in 2011 and an M.S. in Information Security and Assurance from Western Governors University in 2014. Noguera will drive all information security initiatives, including application security, incident response, threat and vulnerability management, and security architecture for online marketplace payments provider Yapstone's world-class risk and security program, reporting directly to CTO Sanjay Saraf. As the former CISO for Gap, Inc., Noguera established industry leading detect-and-response capabilities for any attacks or threats targeting its customers, employees, and partners. This was achieved across a global footprint spanning 3,000-plus stores globally. He was also accountable for securing transactions across all Gap web and mobile properties, including Gap, Old Navy, Banana Republic and Athleta. "At Yapstone, security is fundamental to what we do every day," said Noguera in a press release. "What excites me is that Yapstone is enabling truly frictionless payments, using leading-edge security technologies to do so." "Security is an intrinsic part of our global payments platform and is embedded in every part of our micro-services based architecture," said Saraf in a press release. "I am excited to have Rich join our Product Engineering team, lead our security technology group and continue to make security a key element in our end-to-end development process and culture across the company." As director of the Threat Research Team, Pickens brings over a decade of experience in military intelligence, counterterrorism and cybersecurity to Fidelis. “Danny has a wealth of expertise, coming from the military and intelligence communities as well as leading large-scale, commercial cyber threat intelligence operations. We are thrilled to have him lead our Threat Research Team in delivering countermeasures and finished intel to our products and customers,” said Nick Lantuh, president and CEO, Fidelis Cybersecurity, in a press release. Prior to joining Fidelis, Pickens served as a director at Optiv where he managed the Global Threat Intelligence Center and lead research for managed security services. He spent the majority of his career within the United States military and various divisions of the Department of Defense and other U.S. Government organizations, working across the tactical, operational and strategic levels of intelligence and cyber operations. He continues to serve in the U.S. Army Reserves as an intelligence team Non-Commissioned Officer in Charge (NCOIC) where he supervises the preparation and dissemination of all-source intelligence products, intelligence summaries, forecasts, and assessments.